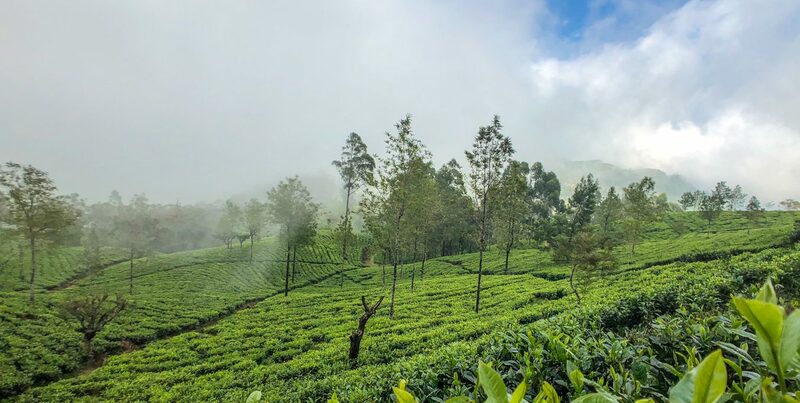 Wonderful location in the mountains, the tea county was our favourite area in Sri Lanka. It reminded us of the coffee triangle we visited a few months ago in Colombia. Actually, we learned that Sri Lanka was the world’s biggest coffee producer back in XIX century. It was in 1870s when a fungal disease spread across the island and destroyed the coffee plantations. In search for alternatives, tea trees were planted instead and tea quickly became the symbol of the country. 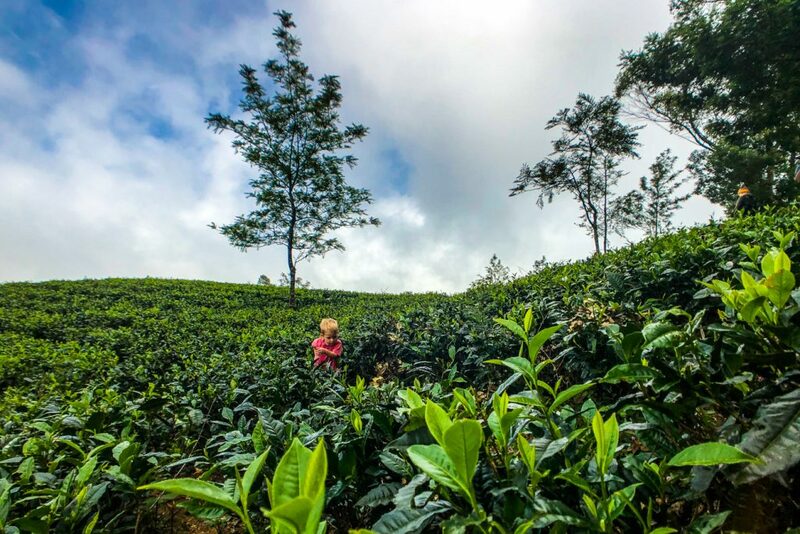 Ceylon, its former name from the colonial times, is now a tea brand known worldwide. 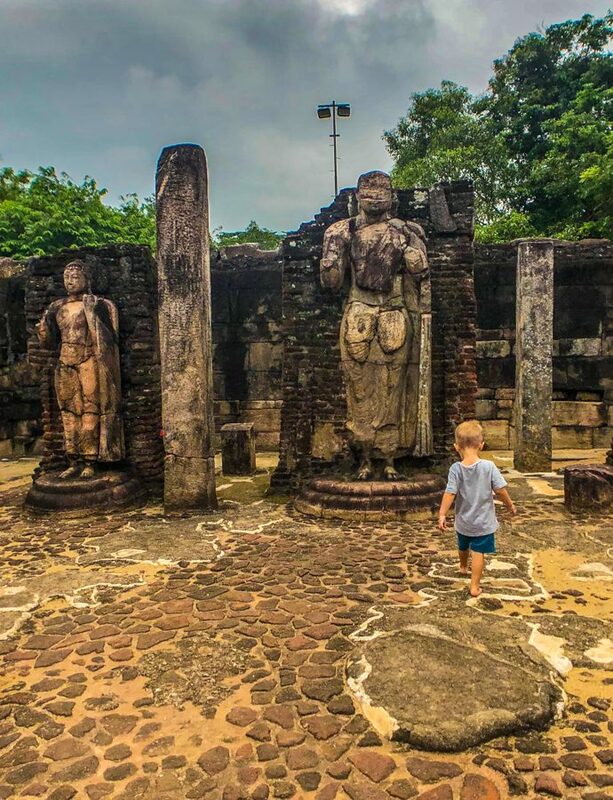 The most authentic part of Sri Lanka, we enjoyed the Central region much more than the Southern coast. 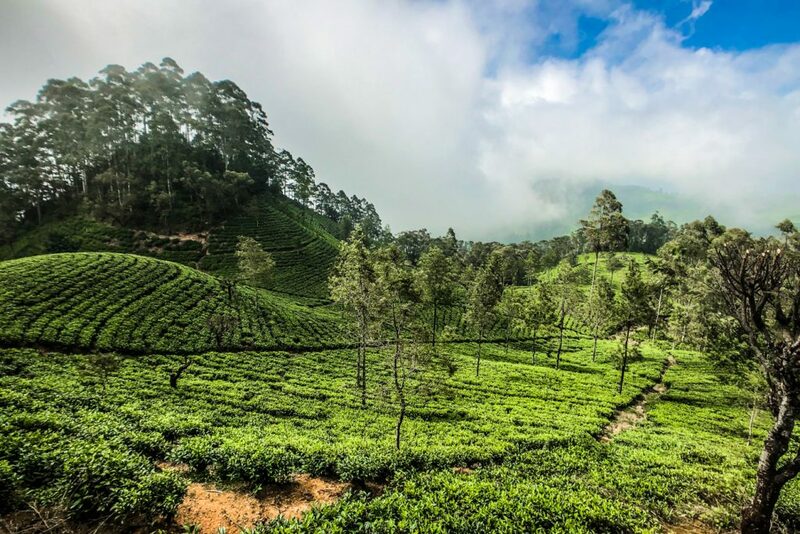 In the end, you can find beaches in many of places, but not tea plantations. Just Eric was a bit confused in the beginning, I guess he was expecting something else when he heard we’re gonna see tea everywhere. In December, the climate is perfect for outdoor activities. Warm, sunny days with chilly mornings, it reminded me of beautiful spring days back home. 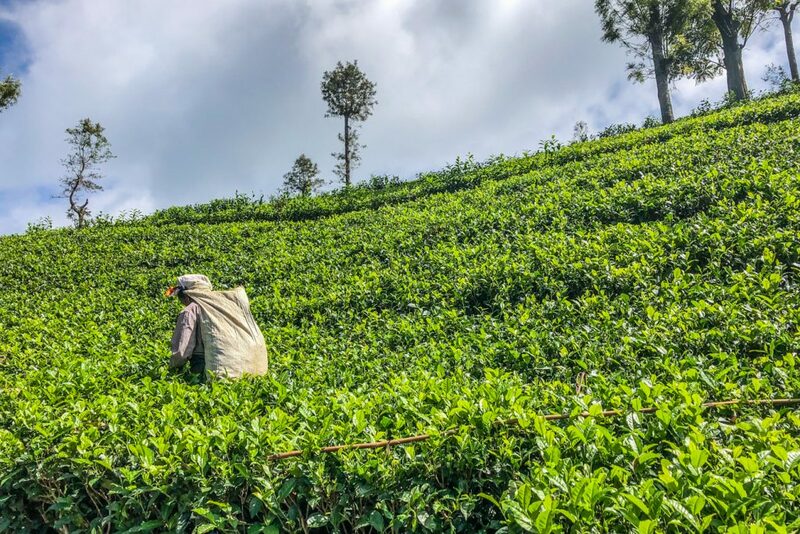 While visiting Sri Lanka’s tea country, we set our base in Ella. This picturesque little village is surrounded by hills covered with tea plantations and cloud forests. 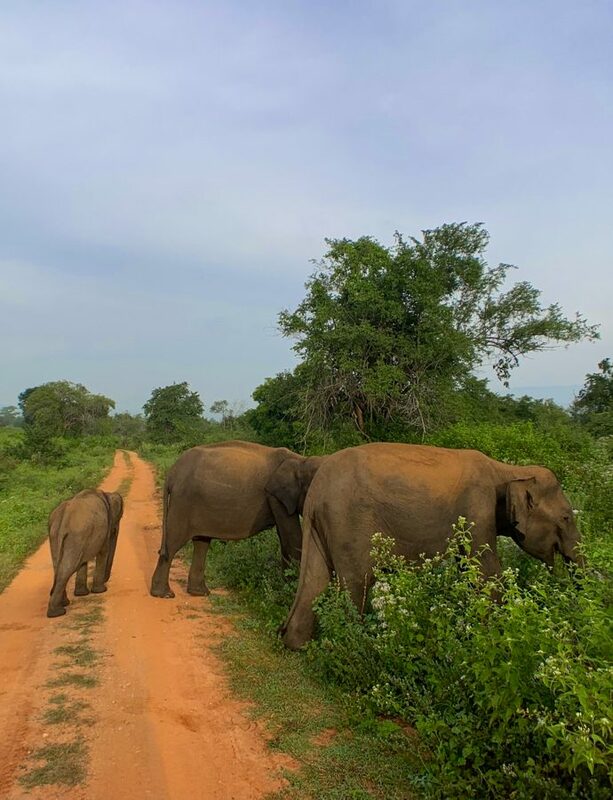 Ella is the perfect place if you look for a retreat in the middle of the nature, but still enough connected with other visitors. Despite the large number of tourists visiting the area, we did not find it too crowded or over-touristic. You will find plenty of options for accommodation and eating, low to medium priced. Most of them are small, very authentic and you might have a hard time if you want to eat something else than local food. 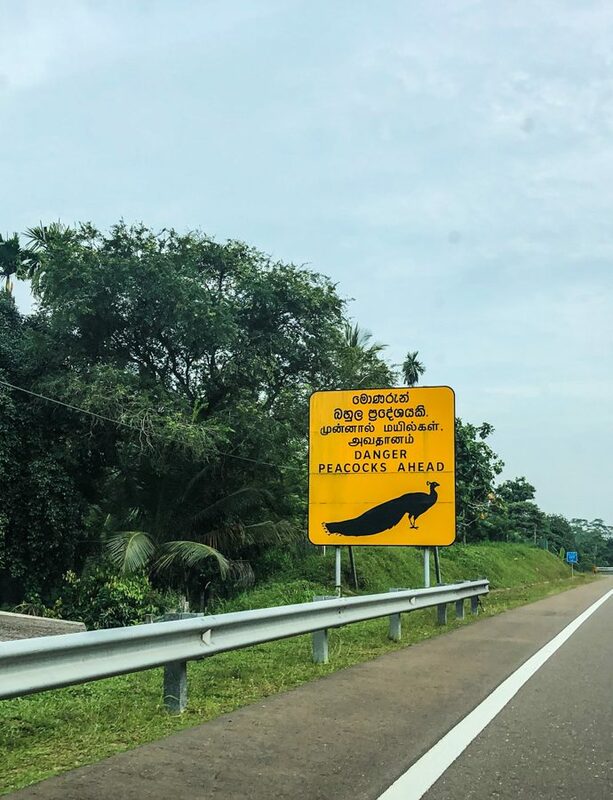 We loved Sri Lankan food, so this was not an issue for us. Even Eric started to enjoy local food as he discovered rotti, a typical flatbread, filled with vegetables or, even better, with pineapple and honey. 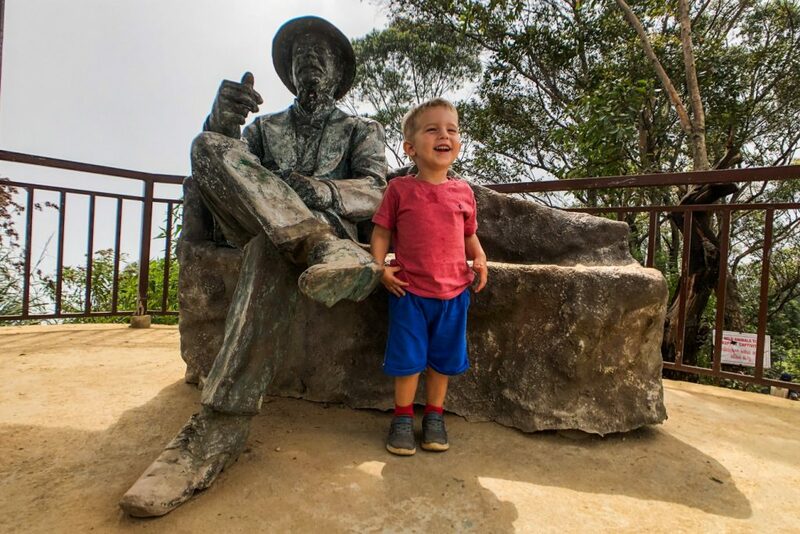 If you are visiting Ella with kids, it is worth to stop for lunch or at least a snack at Art Cafe Umbrella. They have a nice terrace with toys and colouring books for the little ones, so we could have a good coffee without being on the rush. 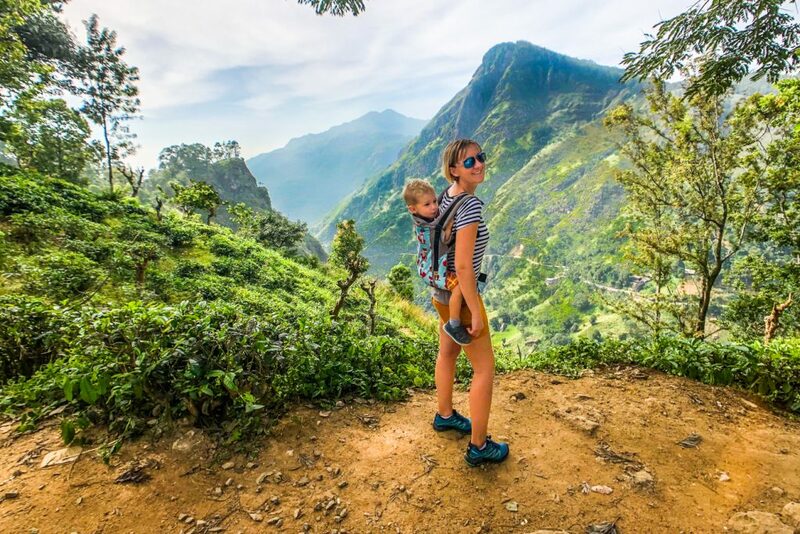 Little Adam’s Peak is a trek you can easily do with children. I was carrying Eric on his Isara baby carrier, but I’ve seen older kids climbing all the way up on their own. It took us less than one hour to get to the top, including a lot of stops for pictures. The hilly landscape is absolutely gorgeous, as you pass through dark green tea fields. The path is well marked and there are many tourists, so you can’t get lost on your way, nor do you need a guide. 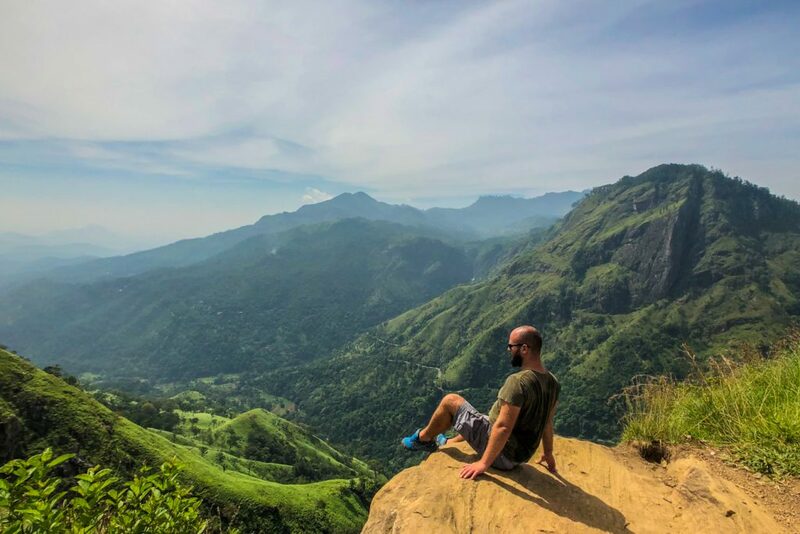 Little Adam’s Peak has 1,141m and takes his name due to the resemblance with the taller and much more difficult Adam’s Peak, near Nuwara Eliya. From the top, we could observe Ella Rock, but that was too much for us to hike with a toddler. 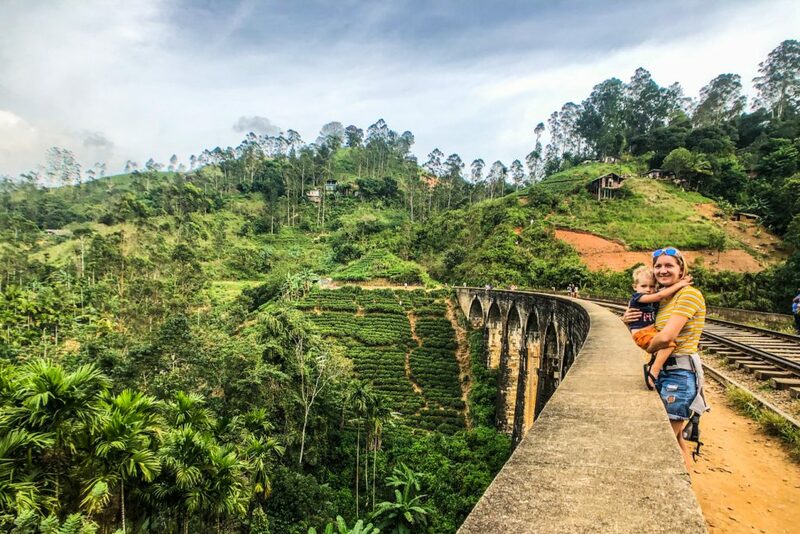 Nine Arch Bridge was built almost 100 years ago and attracts more and more tourists, due to it’s architectural particularities, but also the picturesque scenery. You can get to the bridge taking a tuk-tuk from Ella, which is very cheap. But we preferred a 20-30 minutes walk to get there. You just need to follow the signs from the main road and the trek is quite easy. Just a few steep and high stairs by the end, but it is totally worth the views. We went to Nine Arch Bridge in the afternoon and we were lucky enough to be there when the train was crossing. Even though we heard this is like the busiest time, with lots of tourists on the bridge, I did not feel it was that crowded. But still, you need to get there very early in the day for those amazing shots with no one on the bridge! 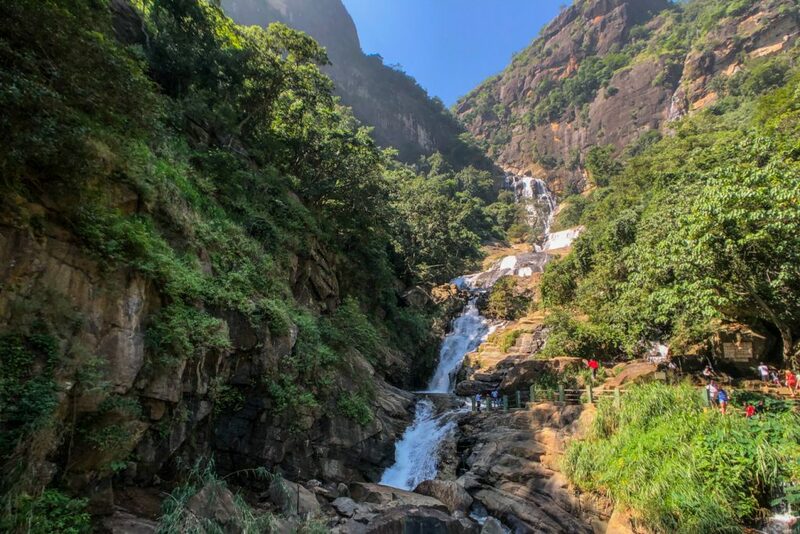 Located just a few minutes away from Ella, we briefly stopped to see Ravana falls on our way to Lipton’s Seat. It was full of people taking pictures and climbing up the rocky wall. It must be quite a view from up there, but it is quite adventurous too. We just walked around for a bit, ate a grilled corn from one of the street vendors and continued our way. It was a nice sight, but not something to make a long detour for. Driving to Lipton’s Seat was one of the most scenic road trips we’ve ever had. It was quite a long time from Ella to Lipton’s Seat, close to Haputale. We took the less circulated route, through terraced hills covered in tea plantations. I was scared at times by how narrow or steep the road was. But I was also excited about the chosen route. On our way up it was nice and sunny, but the peak was covered in dense fog, so we could not enjoy the 360 views to the valley. Still, the location is amazing, I can understand why it was the favourite spot for Sir Thomas Lipton! 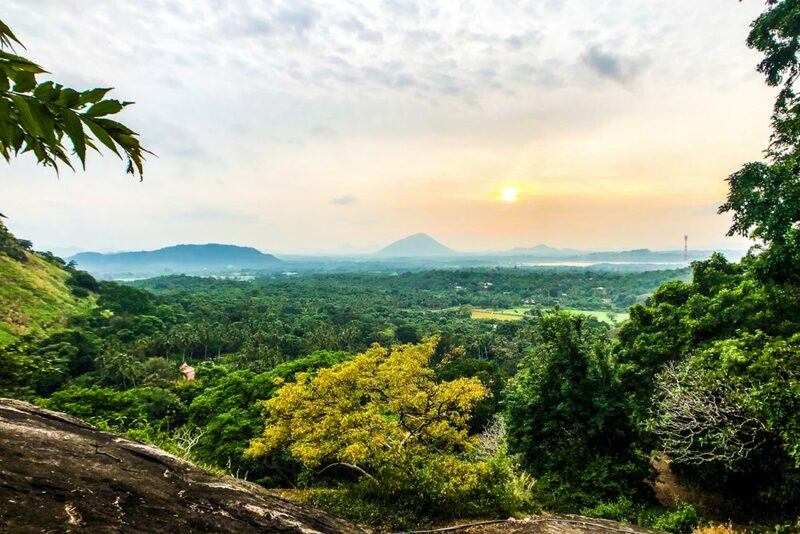 See next how we left Sri Lanka’s highlands for the last stop in our adventure, the Golden Triangle.